The first step is to simply follow the prompts and enter details specific to your motorbike. Simply manually enter your contact details, we are required it so we can make contact with you regarding your bike. Then submit this form and wait to contact from us. Your vehicle information is processed immediately and you'll receive an instant online offer for your motorbike. This is calculated through the software technology at Sell Motorbike, which allows us to make a calculation based on your specific car details, and not merely an automated, generic price. The fastest way to pay you is obviously cash. We can also pay you via electronic transfer from our account to yours. There is no charge for this service, and we make the transfer while our driver is at your collection address. Cleared funds are generally available within 10-15 mins. There are no "hidden" fees, like administration charges, BACS fees or transfer fees. When selling your motorbike or bike online, security is important. An important point to make here is that we will not ask you to release your bike until you are completely satisfied with the deal. STEP 3 - We Pick Your Motorbike Up FREE! Our unique payment & collection service is something that our customers have consistently told us they rate particularly highly. First of all, it’s free. What’s more, you choose the most convenient location for your bike to be picked up, whether that's at your home, your workplace or elsewhere. The selling process takes between 15 and 30 minutes. 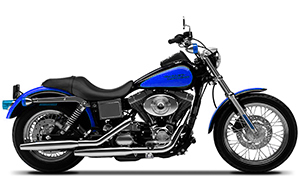 We can arrange settlement of any outstanding finance on your bike. Please note that you will need to provide a letter detailing a current settlement figure from your finance company and that the settlement amount will be deducted from the amount paid to you for your motorbike.